THE TENANTS of the New Era Estate in Hoxton are on their way to victory in their fight against proposed rent rises that would lead to flats being let for up to £2,000 a month. 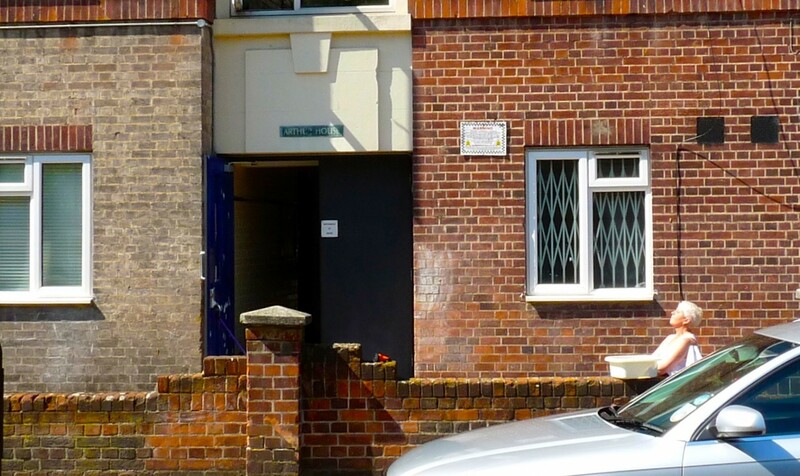 The locals’ solidarity and strong resolve has led the Benyon Estate, the family company of Newbury MP Richard Benyon, to say it will sell its stake in the 96 redbrick flats and other premises so that it no longer has to manage them. Benyon’s company wrote to residents that New Era residents did not want it involved in the estate. Full-time mother Danielle Molinari told Loving Dalston the estate was built as social housing, not as a means for rich people to become even richer. The tenants’ last protest mustered about 300 people, including writer-actor Jolyon Rubenstein and will-he, won’t-he-try-for-Mayor gadabout Russell Brand (who would, some protesters muttered, turn up for the opening of an envelope if there were an audience). Molinari said: “We was so pleased with the turnout of people to support our peaceful protest with our neighbours, family friends and people from other housing estates who are going through similar things. For some people, the good news, first reported by The Guardian, came too late. 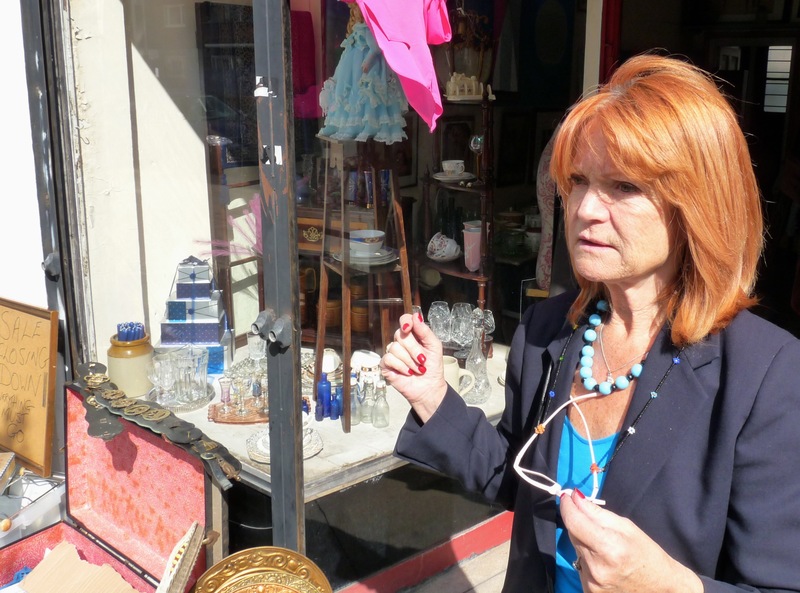 Patricia Palmer had already cleared and closed her Whitmore Road bric-a-brac shop after having been told to expect an extremely high rent rise. While she was explaining this to Loving Dalston, a grocer from near by brought her some surplus vegetables. Barely had she thanked him than he returned to his shop. Cockney togetherness may be all they have, but it has been enough to defeat a wealthy Tory: Benyon is said to be one of the richest members of Parliament. Campaigner Lindsey Garratt agreed. She told the The Guardian site yesterday that the idea that Westbrook might evict the tenants in the next few months – around Christmastime – showed that it was acting in “a desperate way”. Westbrook was unable to comment. I support the self-determination of the residents of this estate in fighting for their right to be able to live where they do. The housing is social housing for the poor, set up for the poor, by the reform policies of the postwar era. London has become transglobal and of greater interest to the rich, particularly in the selling of housing estates and streets to developers, who move poorer families to dumping grounds around the UK where they are lucky if there’s a swimming pool or cinema, let alone a community and jobs – torn away from their roots because of increased rents and reduced housing benefits. The poor are removed by whatever means and backed by the local councils that have little or no civic mandate. It needs to stop, the new diaspora. London must have a moral responsibility. We are in a country that has over the last 50 years continued to remove the poor to cultural wastelands, cleansing areas of the poor, forcibly dumping them. Stop this, it is a disgrace. Have a conscience, local authorities. Get rid of greed and help the poor as you once did. I was forced to leave my housing association in Ealing because I was an easy target.My rent rose so much that I would have needed to go on benefits and leave my job in order to avoid rent arrears. Greed cost me a lot of heartbreak. I truly feel my heart snapped when I was forced out.